Microgaming has confirmed the information that emerged last week reporting, that one of its licensees has broken record progressive jackpot. The company’s representative said that this happened at the British famous online casino Betway. This event took place just after midnight on October 7th when Jonathan Heywood earned £ 13,213,838. If you apply the course of the day, this amount is equivalent to € 17,879,645, and this is the biggest win in the history of online slots. 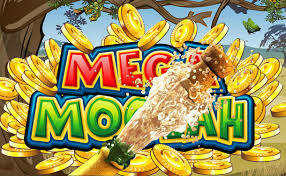 As always the story with Microgaming, the whole Jackpot is paid to the player with one transfer. The company reports that Jonathan is a 26-year-old soldier from Cheshire. He could not believe his luck when seeing these numbers on the screen of online slot table, but he had to believe it a few hours later. “Everything is just surreal, I still cannot figure it out, I’ll just keep looking at the screen and see a huge amount on its account at the Betway», – said the luckiest soldiers ever.